British Quilt & Stitch Village 2019 on the 12th – 14th April. 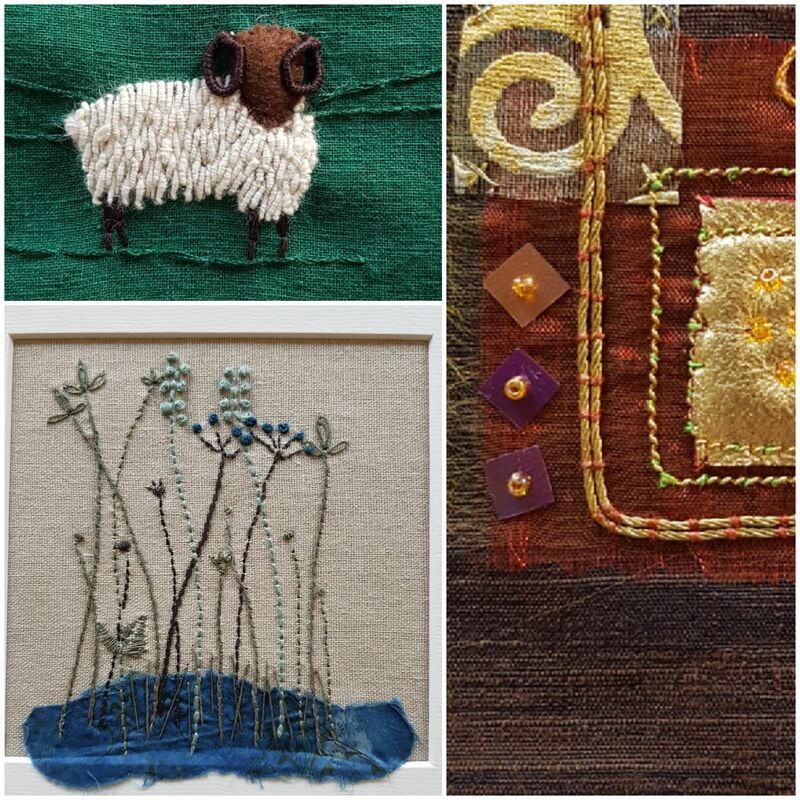 Textile artist Tilly Rose would like your help! I am looking to create a display wall of little stitched patches that will help create a few smiles, lots of chatter and evoke a few treasured memories of times past. You may want to use a theme ie a day out with the family, seaside fish and chips, fruit cake and a cup of tea, Grandad’s garden shed, the smell of summer….or you may want to just add a patch of stitched threads in a rainbow the list goes on…. It is open to ALL abilities. 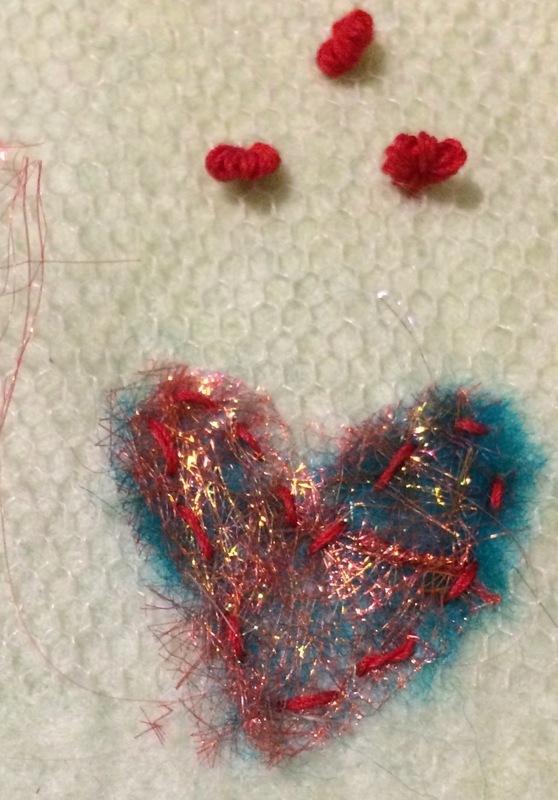 Do you fancy joining us in making a patch and joining in with the fun? Requirements – Each patch needs to be 5″ square and can be hand or machine stitched using any type of design you wish. 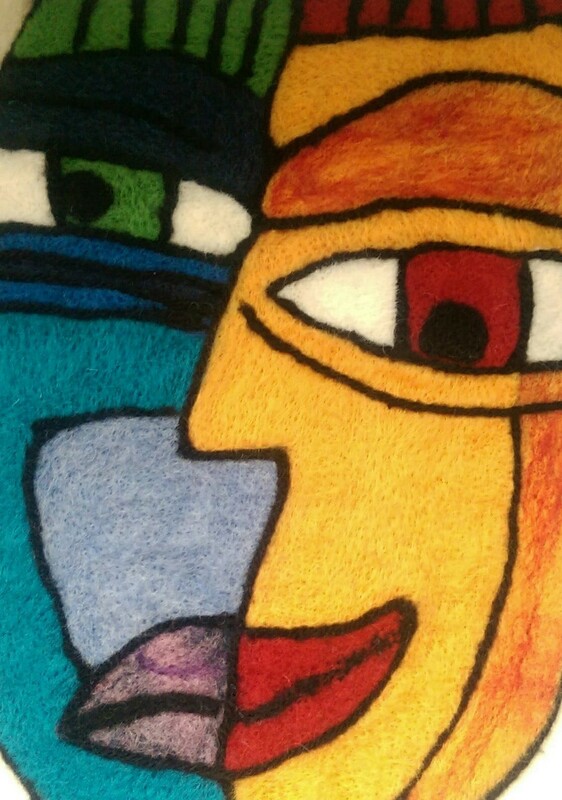 You may even wish to add in other techniques such as quilting, mixed media or embroidery. 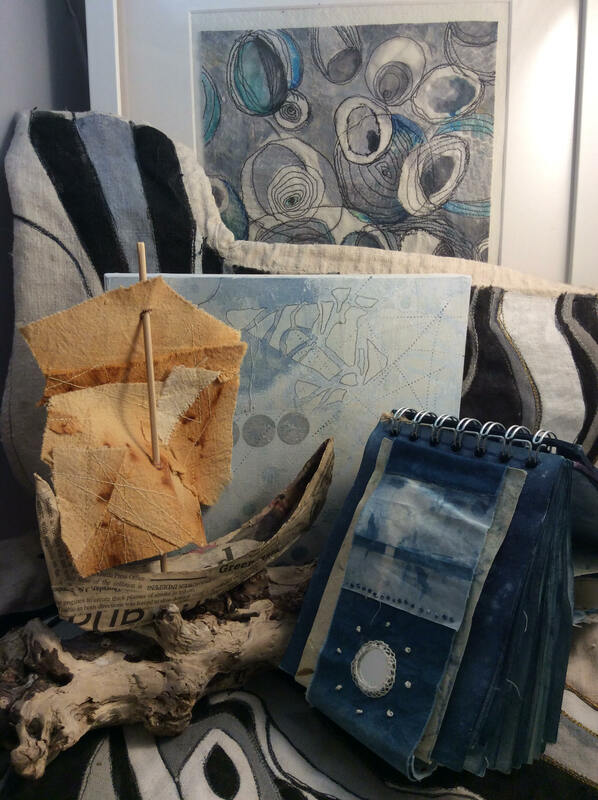 The idea is to provoke a memory through colour, pattern, texture, print, or even using found or forgotten objects from days gone by. Patches can also be handed in on the day you visit. I am hoping to donate all patches to charity after the event to help support the valuable work with dementia patients. Our exhibition shows work completed by ‘All Directions’ a creative stitched textiles group who meet fortnightly in Lichfield to learn and explore new techniques to incorporate into their own work. If you would like to know more about the group, then please contact the tutor Jane Lockley. 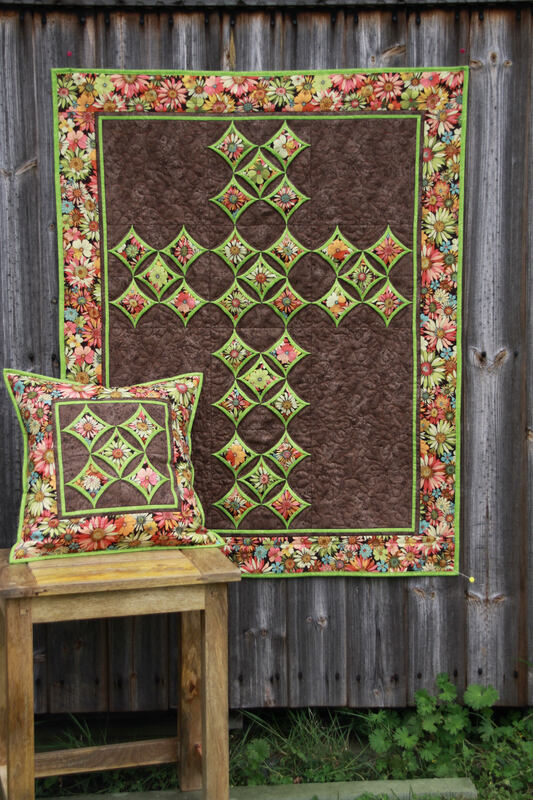 Vendulka uses a machine pieced method when creating her Cathedral Windows creations. Her different approach allows her to achieve a better contrast of colours and a more striking look. On display will be cushions, hangings as well as quilts. 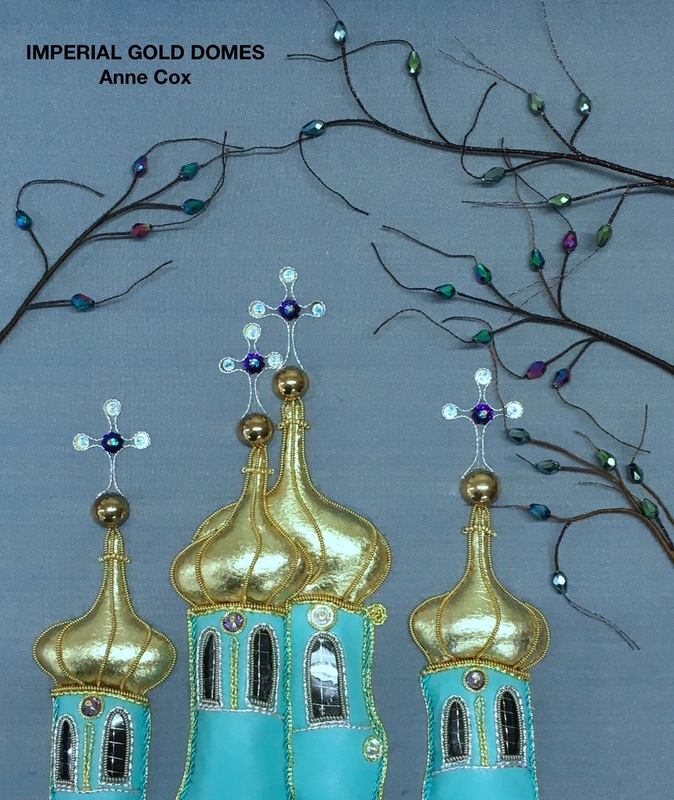 ‘All things GOLD and beautiful’ showcases an eclectic mix of work by members of Carole’s Goldwork group, which meets at Ticknall in Derbyshire and celebrates their skills and expertise. Stumpwork, Silk Shading and other hand embroidery techniques are often combined with Goldwork as group members enthusiastically extend their range of skills and techniques. 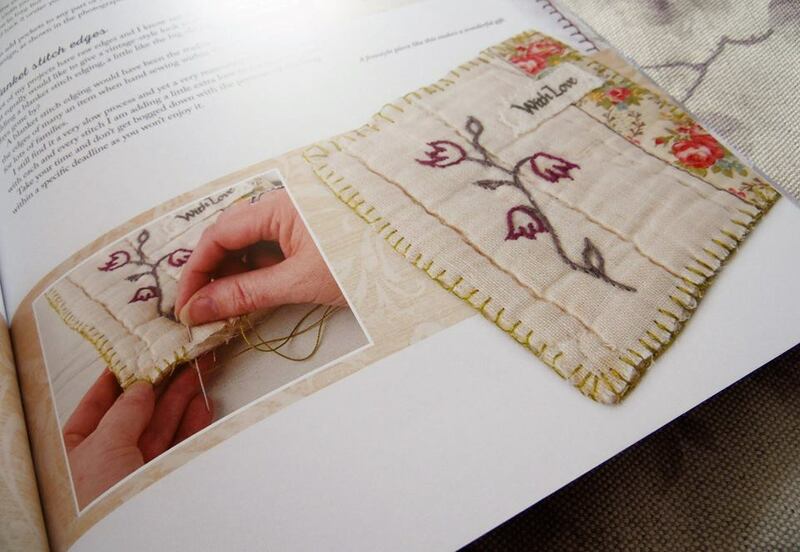 Carole’s aim is to inspire and promote hand embroidery techniques through teaching, demonstrating and exhibiting. 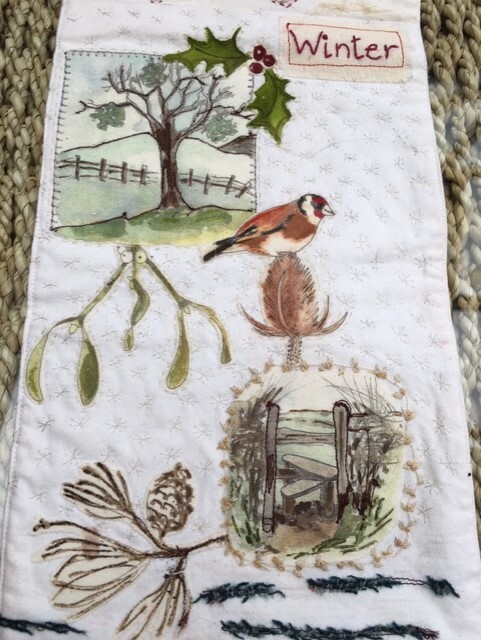 Cathy runs a broad range of hand embroidery workshops in the beautiful Peak District village of Alstonefield near Ashbourne. Gaining inspiration from her travels around the world, Cathy develops her own designs, which she teaches others to re-create on her workshops using traditional techniques. A land of castles, forests, hills, vast sandy beaches and dark star lit skies – Northumberland, a truly inspirational place. Cinnabar: Judith Burnett, Liz Duck, Francine Wilkins, Julie Williams. 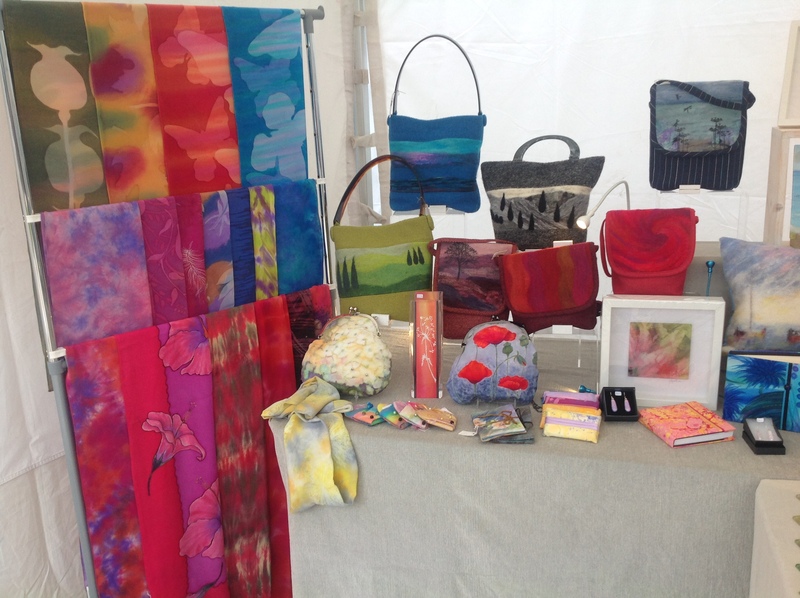 Crazy Mary Crafts provides textile workshops and residential stitching weekends; plus school projects and community based textile art. Many of Mary’s projects are also available as kits to complete at home. Don’t throw away your precious scraps – no matter how small they are, they have value and can be used to make up colourful scrappy blocks and then made into fabulous projects. Pop along for inspiration and top tips. Eclectica is ten textile artists brought together by a love of fabric and stitch each bringing a personal approach of subject, technique and materials for truly eclectic mix of finished pieces. 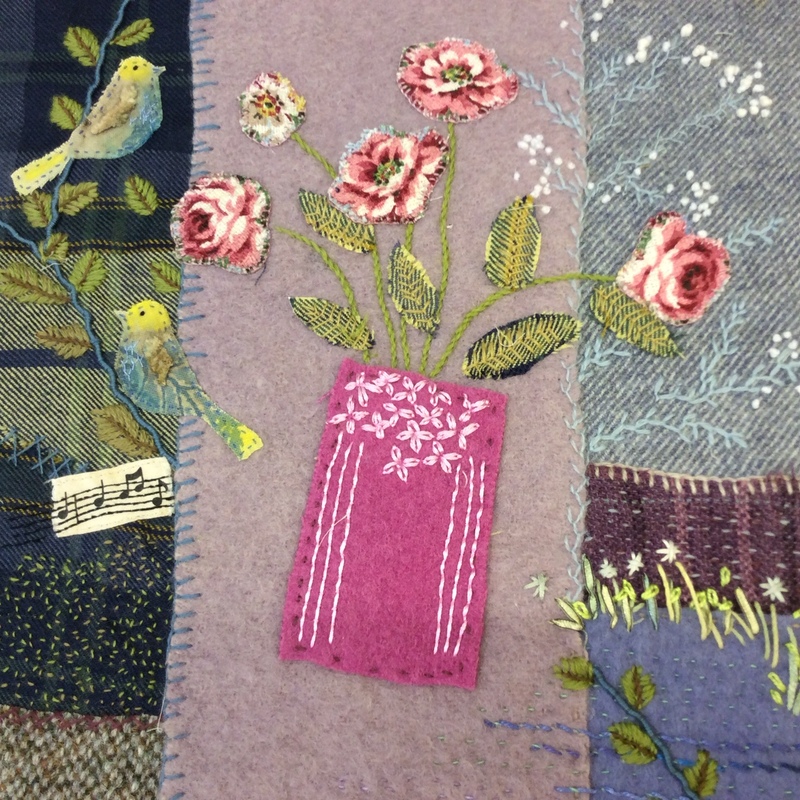 The Embroiderers’ Guild welcomes everybody with an interest in any area of embroidery. If you are learning to stitch, professional or simply appreciate fabric and thread you can find a branch nearby to join. The Guild of Silk Painters is a non-profit organisation who meet where and whenever possible to share knowledge and promote the art of silk painting in all its many guises. Inspirational Woman is an exhibition of whole cloth quilts which have been quilted with beautiful Mandala (from Sanskrit meaning circle) designs. It’s a collaboration of artist duo Vendulka and Olivier Battais. 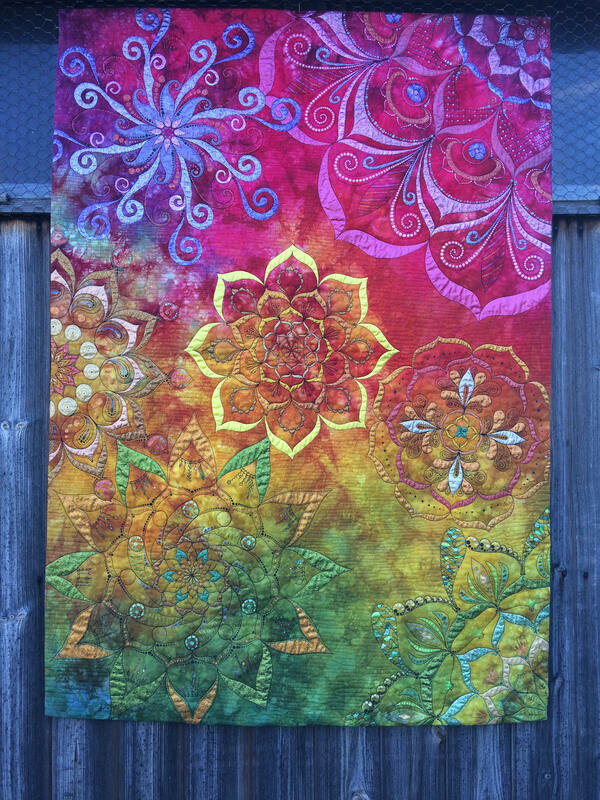 They both design the Mandalas, Vendulka quilts them and together they paint them with glittery and shiny paints for incredible effects. A textile group whose aims are to produce exciting and innovative work. Louise Claire has been making and selling bespoke scarves and textiles pieces to clients and galleries throughout the UK and around the world, since 2000. She runs workshops inspired by nature and uses eco dyes with a range of textile techniques. 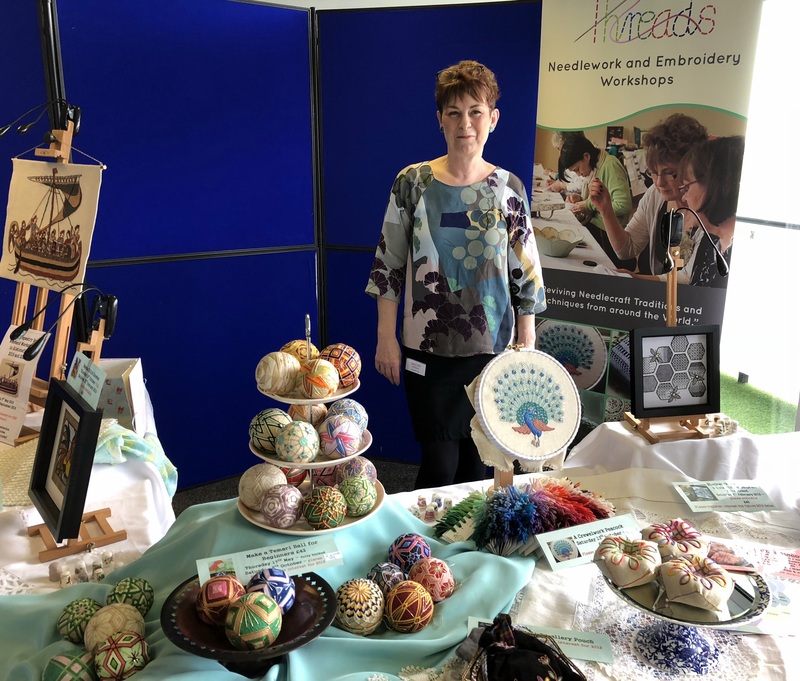 At the British Quilt & Stitch Village Louise will be running the ‘Exploring Embroidery & Fabric Manipulation’ workshop and will include the use of Angel fibres. 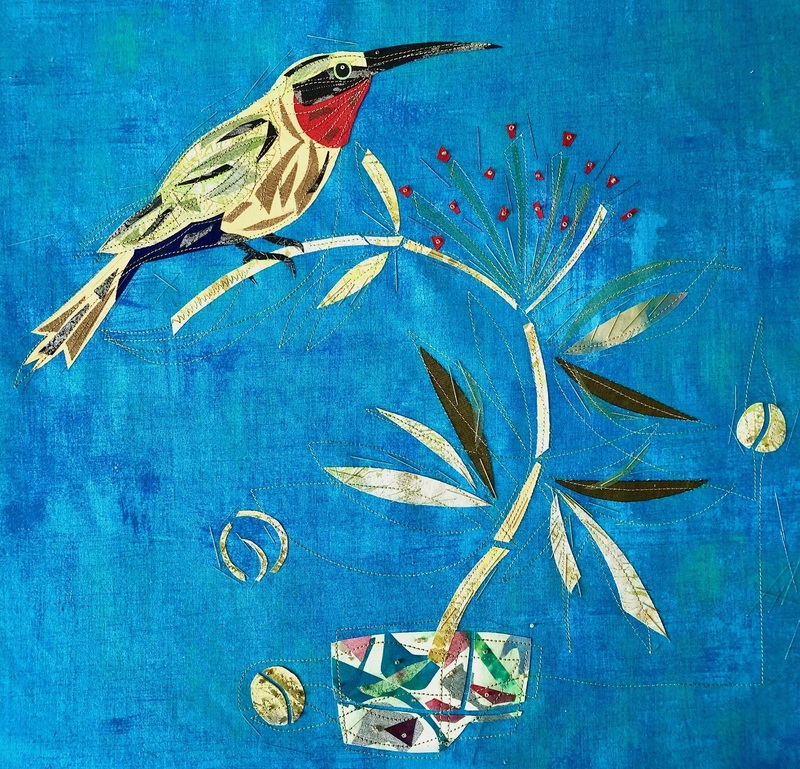 An exhibition that shows one woman’s love of textiles and a passion for learning. An opportunity to purchase our friend’s textiles. 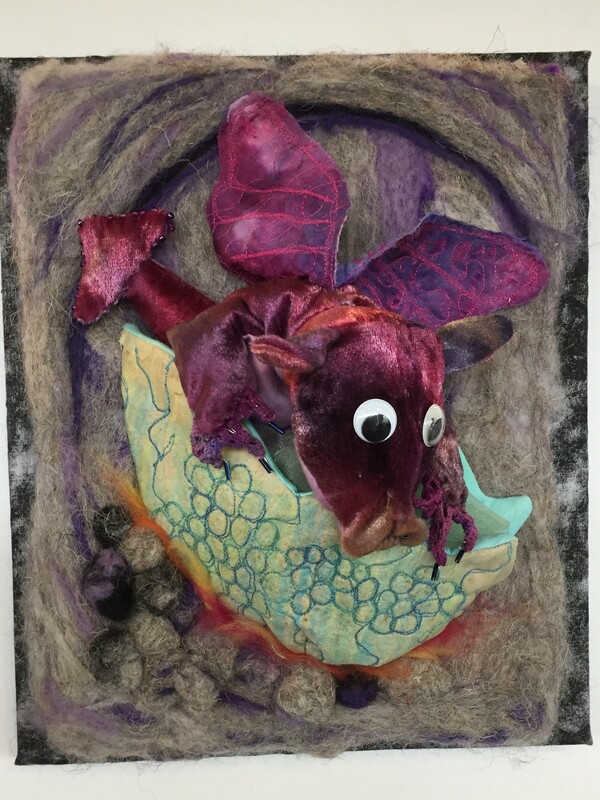 Material Girls are a group of friends who have an interest in mixed media. Each year we have a project where members produce an item from a pack of identical materials on a given theme. The only rule is that a piece of everything in the pack must be used. This year our theme is ‘Gates’. 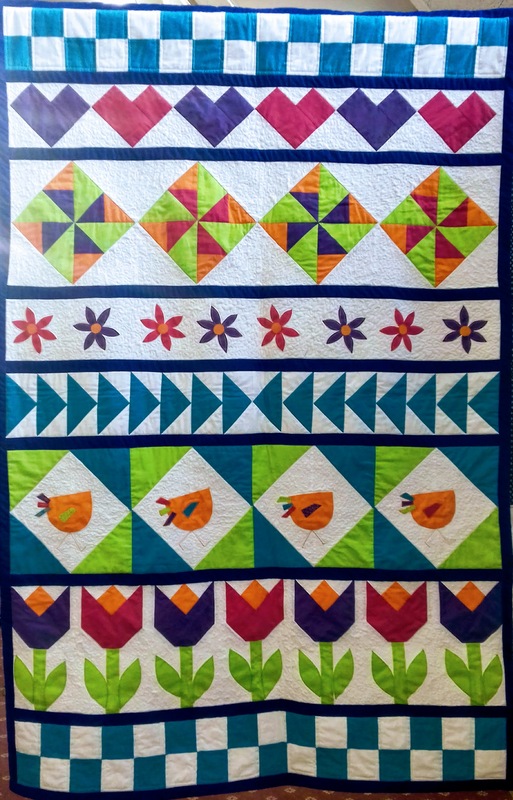 Heather Hasthorpe and Ros Peedle will present modern quilts and demo some fun blocks. 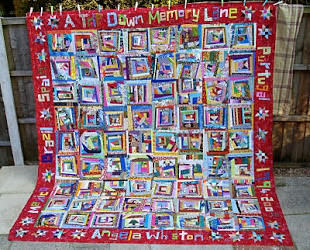 Heather was co-founder of The Modern Quilt Specialist Group of The Quilters Guild of the UK. On the Surface is a group of seven Midlands based makers who work in diverse but complementary ways. We are exhibiting our latest work which features textiles, stitch, mixed media, fashion and 3D. Project Linus UK is a volunteer organisation. 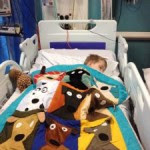 We aim to provide a sense of security and comfort to sick and traumatised children through the provision of new homemade patchwork quilts and knitted blankets. 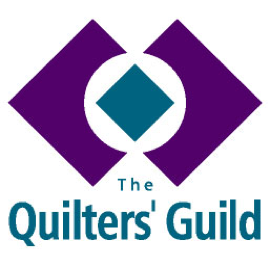 The Quilters Guild is an educational charity open to all. It promotes quiltmaking in all its forms across the UK and the preservation of its heritage in order to ensure a future for the craft. 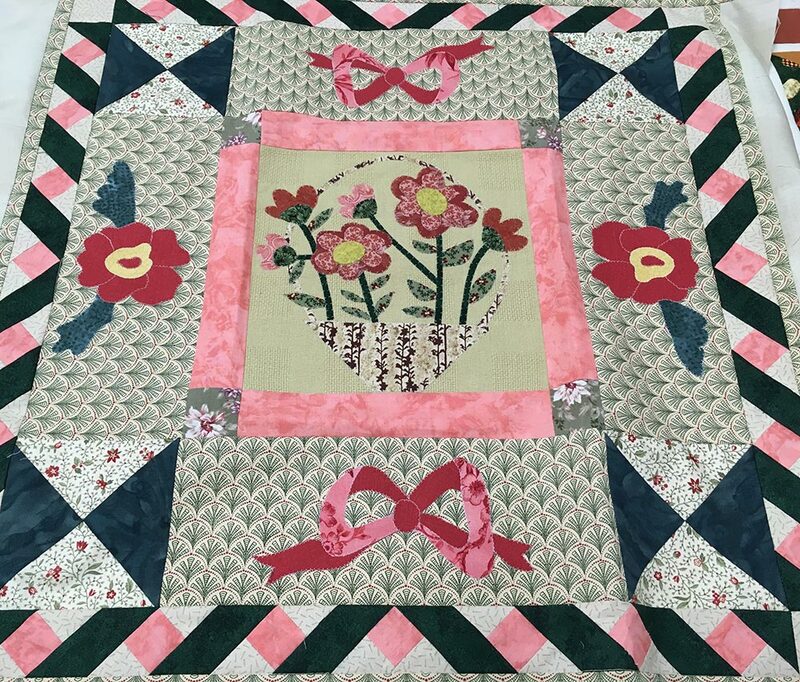 Teaching Patchwork and Quilting Techniques through projects and patterns. Learn in a classroom or at home via the internet. 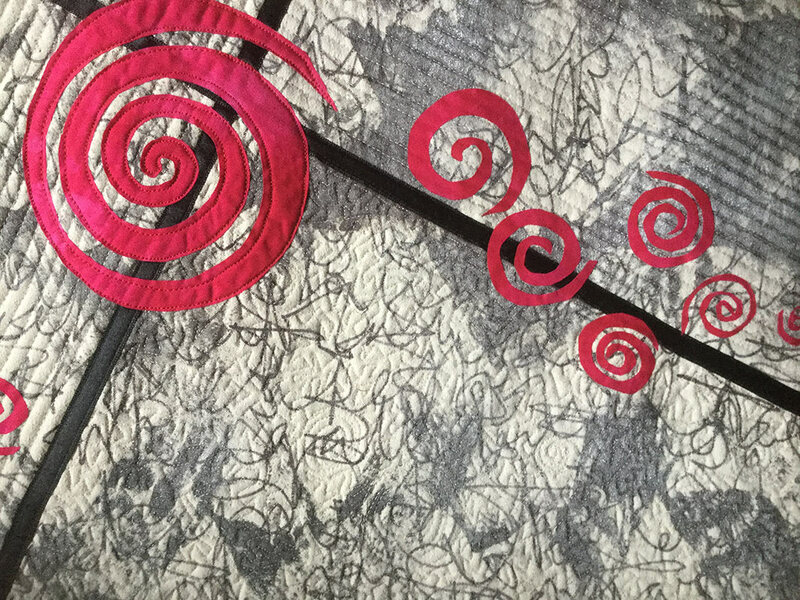 This diverse group of contemporary quilters includes experienced textile artists and those who are just starting out on their creative journey. 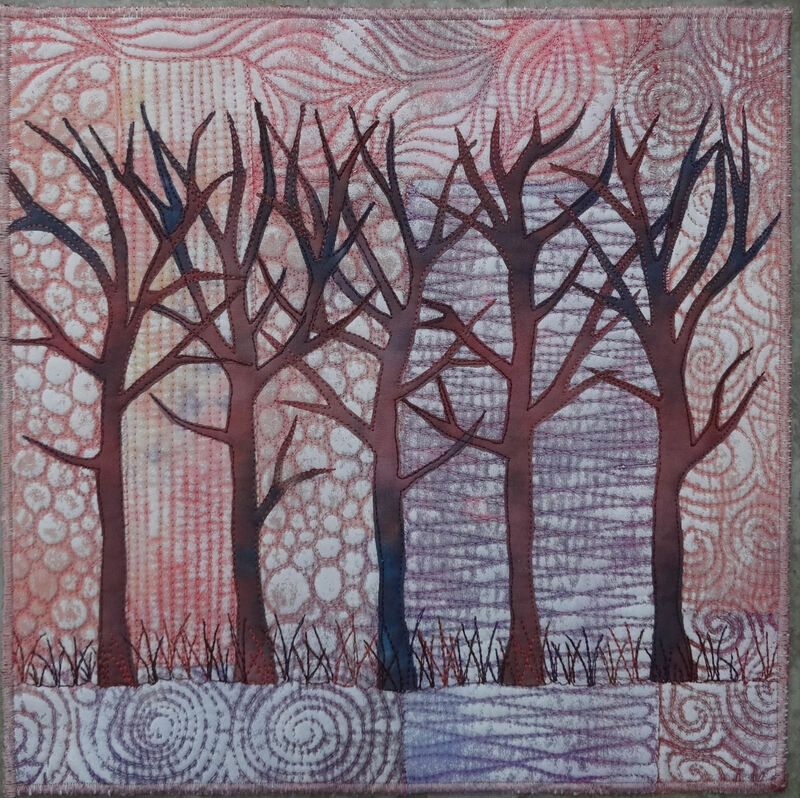 They will be showing a variety of work inspired by the natural and urban environment. 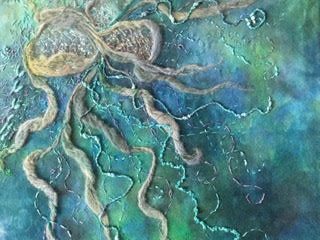 Traverse is a group of textile artists, working with varied styles, mediums and techniques, our name evolving from looking or moving sideways to find different perspectives. Our 2019 exhibition, ‘Revealed’, explores unconventional viewpoints, revealing hidden layers, in the physical world, our emotional landscapes and our work itself. A group of artists with an eclectic mixture of styles and techniques who expand their repertoire by allowing critical evaluation whilst respecting each other’s views. This empowers them to develop their creative work, but yet remain joined at the corners. An exhibition of Wombourne Quilters Round Robin Medallion Quilts. Each Border made by a different person to fit and enhance the overall design and pattern. What a challenge this proved to be but the results were worth the effort! Please download the form from this page and fill in the form by hand and scan or send back to us. We have included a PDF version for printing & scanning and also a Word version if you’d like to return electronically. We will contact you personally to discuss your exhibition and where your displays will be positioned when we have received your form. We will consider each application for inclusion at the show but cannot guarantee that all applications will be successful. If you have any queries regarding being an exhibitor do feel free to e-mail NikkiReeves, Show Manager at info@quiltandstitchvillage.com. Who exhibited with us last year?